Tallest Building in the world. Dubai. Such a beautiful structure. 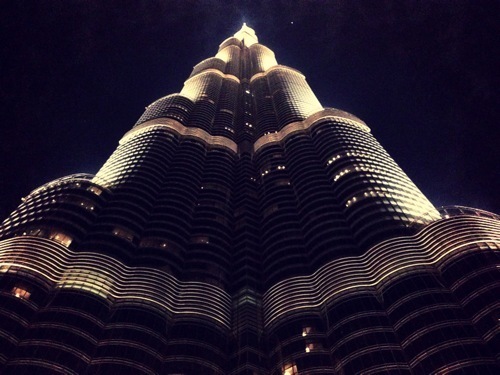 The Burj Khalifa, at 828 meters, rises about 25% taller than it's closest competion. There's with water fountain show every night with Dubai Mall across the way, which is also happens to be the biggest in the world.